On 3 CD's. 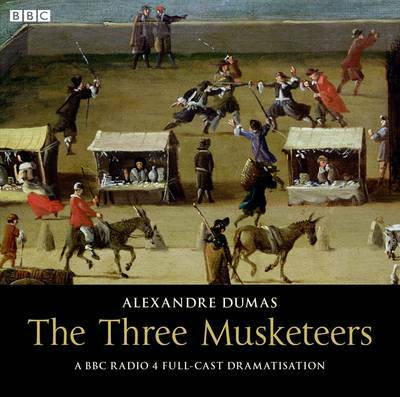 When the dashing young D'Artagnon arrives in Paris from Gascony, he becomes embroiled in duels with the three musketeers Athos, Porthos, and Aramis. But when he proves himself by fighting with, not against, the three Musketeers, they form a quick and lasting friendship. The daring escapades of the four pit them against the master of intrigue, Cardinal Richelieu, and the quintessential wicked woman, Lady de Winter. French author of historical novels and famed womaniser.